2019 International Conference on Cyber Conflict (CyCon U.S.) - CyCon U.S. - 2019 International Conference on Cyber Conflict U.S. The 2019 International Conference on Cyber Conflict U.S. (CyCon U.S.) will take place 18-20 Nov 2019 at the Grand Hyatt in Washington D.C. This year's theme is Defending Forward. The Department of Defense’s (DoD) 2018 Cyber Strategy identifies the need for active preparedness in cyberspace by “defending forward,” defined as disrupting or halting malicious cyber activity at its source and degrade said activity before it can reach its intended victim. This preemptive strategy advocates defending resources, from military operations to financial institutions, in both the public and private sectors. Critical infrastructure and sectors of the economy that are considered vital to the nation’s economic prosperity are consistently scrutinized and exploited by a number of well-known cyber tools and techniques. The defending forward strategy features a unique change from the previous strategies - the private sector is encompassed within the strategy as an ally, pivotal to defending the nation’s networks. Internationally, the Brussels Summit in 2018, resulted in a decision for the Allies to create a Cyberspace Operations Centre as part of the NATO command structure. Nationally and internationally, government, academic and commercial entities are encouraged to engage in a relationship that is mutually beneficial and enables situational awareness of potential cyber campaigns. CyCon U.S. is a premier conference on cyber conflict. It provides a venue for fresh ideas, relevant and actionable content, insight into future trends, and access to industry, government, and military leaders, cyber innovators, and pioneers in the discipline. The conference promotes multidisciplinary cyber initiatives and furthers research and cooperation on cyber threats and opportunities. 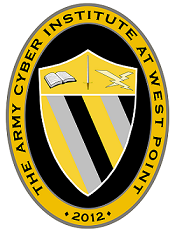 CyCon U.S. is a collaborative effort between the Army Cyber Institute at the United States Military Academy and the NATO Cooperative Cyber Defence Centre of Excellence. CyCon U.S. complements the CyCon Conference held every spring in Estonia. CyCon U.S. is jointly organized by the Army Cyber Institute at the United States Military Academy and the NATO Cooperative Cyber Defence Centre of Excellence in Tallinn, Estonia. Disclaimer: The views expressed by authors and speakers presenting at the conference are not those of the United States Military Academy, the Department of the Army, or any other agency of the U.S. Government.